A recent announcement by U.S. Transportation Secretary Elaine Cho addressed the current shortage of truck drivers in the United States, and simultaneously offered job assistance to young veterans and National Guard reservists. The American Trucking Association estimates that there’s a current shortage of about 50,000 truck drivers in the United States. This driver shortage is causing delayed deliveries and higher prices on goods and freight. Even though trucking jobs can pay quite well, the industry is having a hard time attracting employees due to the tough lifestyle. Many companies offer incentives and signing bonuses to potential drivers, but the trucking industry is still struggling to hire and retain drivers. However, a new pilot program hopes to alleviate the problem in a positive way. Current federal law prohibits anyone under the age of 21 to drive a commercial truck across state lines. However, the pilot program will make an exception for 18- to 20-year-olds who are veterans or reservists, using their military truck driving experience and training to become interstate commercial truck drivers. Secretary Chao introduced the program, saying, “Men and women do a great job of performing that task for the military so the question is why are they not allowed to do that same job in the civilian life?” In addition, veterans may sometimes need assistance transitioning back to civilian life. Programs like these give them the opportunity to utilize the skills and training learned in the military. Will these drivers be safe? Critics of the program question if it is a viable enough program to succeed, and how many people would actually be eligible to drive. They point out that the pilot program is aimed at veterans under 21 years old, but that most veterans leaving the military are older than 21. However, proponents say there are still a large number of reservists eligible for the program. For example, Maj. Gen. Daryl Bohac, adjutant general of the Nebraska National Guard, says that nearly 600 members of the Nebraska Guard have the equivalent training of a commercial driver’s license. He also believes a program such as Secretary Chao’s would greatly benefit the Guard as well as private trucking companies – attracting younger people to the community, who would build stronger and more permanent ties with steady employment. As for the general public, our priority is safety. We want the people driving 18-wheelers and tractor-trailers on public highways and roads to be experienced and trained. 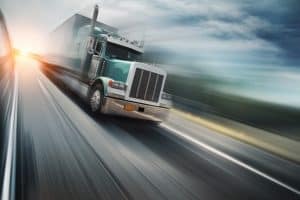 There have been some failed attempts in the past to lower the age requirement for a commercial driver’s license, with some critics believing that young drivers may be a risk for truck accidents. Supporters of the pilot program point out that these young veteran and National Guard members have already passed extensive military truck driving training, and already qualify as being safe and reliable drivers. Right now the pilot program is in an 18-month testing period, and the impact of the program remains to be seen. If the program is successful, we hope to see similar solutions to address these types of social and infrastructure needs in the future. If you’re injured in an accident with a truck, contact the Nashville truck accident lawyers at the Rocky McElhaney Law Firm. We can help you seek compensation for your losses, and work to hold the guilty parties responsible. You should never have to pay for someone else’s recklessness. Call our Gladiators today at 615-246-5549 or use our contact form to schedule an appointment. We have offices in Nashville, Hendersonville, and Knoxville.